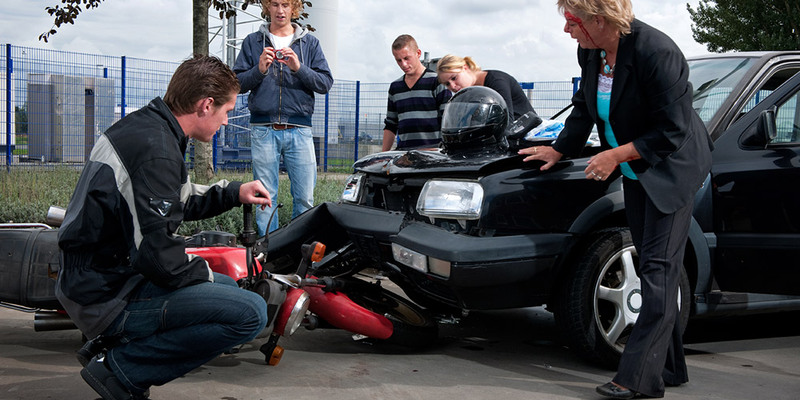 Staying Dry - Motorcycle Safety Institute of S.A.
Motorcycling can be an incredible way to connect with your surroundings, but when temperatures dip, the line between pleasure and pain can start to blur. Here are ten ways to stay warm from head to toe while riding during winter or rainy seasons. Here’s a simple but often overlooked trick to escaping the cold: when you’re in a hurry to swing a leg over, don’t forget to close your helmet, jacket, and pant vents. Do so, and you’ll save unnecessary agony as you ride off into the (cooling) sunset. 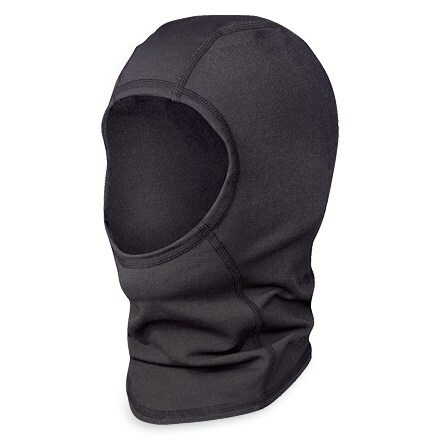 Constructed of silk or other materials which are designed to pull moisture away from the skin, balaclavas fit over your head and under your helmet in order to insulate you from the cold. Different styles offer varying levels of coverage, but most cold weather riders agree that almost any type of balaclava will make a noticeable difference when it comes to staying warm. While an outer layer of gear can block some of the heat-sapping wind, layers underneath will help keep your body heat from escaping. Some riders keep it simple with off-the-shelf long johns, while others wear more technical under gear specifically designed for motorcycling. Either way, layering underneath is essential to staying warm when temperatures dip. 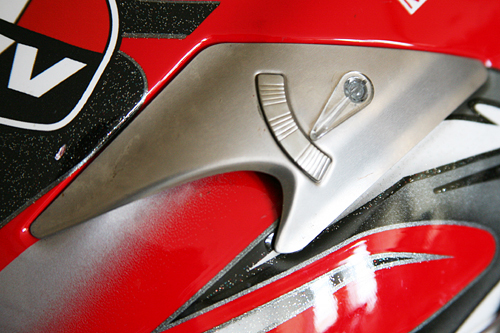 Electric gear adds a significant layer of complexity, as it requires an electric outlet to be added to your motorcycle (or a connection to be made directly to the battery.) But when all else fails, it’s hard to beat the heat created by electric elements such as vests, jackets, pants, and gloves. If you choose to go electric, be sure to experiment with layering, since wearing electric items directly against skin can be scalding, while wearing too many layers in between will reduce effectiveness. Especially when moisture is involved, it’s key to create an impermeable membrane between the elements and your body. 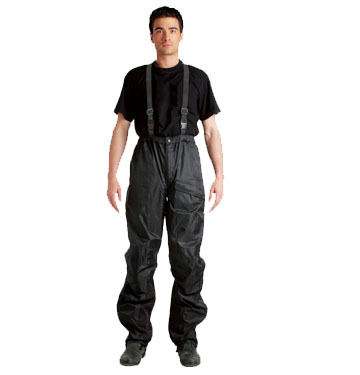 Rain suits come in all configurations– individual jacket/pant combinations, one-piece units, etc. but they are all especially effective at keeping out moisture and blocking wind, which ultimately keeps you much warmer. Although cold weather gear can block out the cold, one tiny crevice can let in enough cool air to undermine all these efforts. Be sure you wear gauntlet-style gloves that fit over your jacket, and boots that overlap against your pants. That way, cold air will flow over your gear instead of through it. 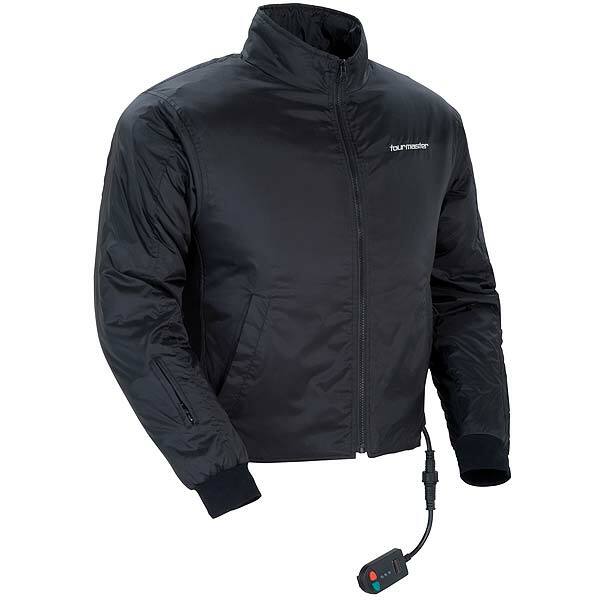 Easily one of the most expensive options listed here, an insulated suit is an option for those who ride in cold weather often enough to warrant the considerable investment. Look for materials like GORE-TEX and removable layers, and you’ll have an all-in-one solution to beating the cold. 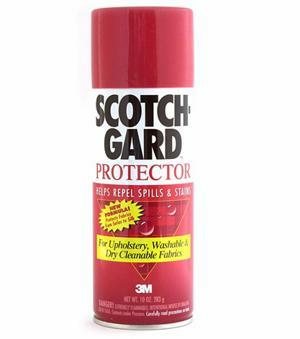 Spray-on sealers like Scotch Gard can make the difference between getting soaked in water, and having moisture bead up and blow away. Make sure your textile and/or leather gear is compatible with sealers before you try them, though. Once boots fill with water, it becomes nearly impossible to get them dry without a heater or a blow dryer. 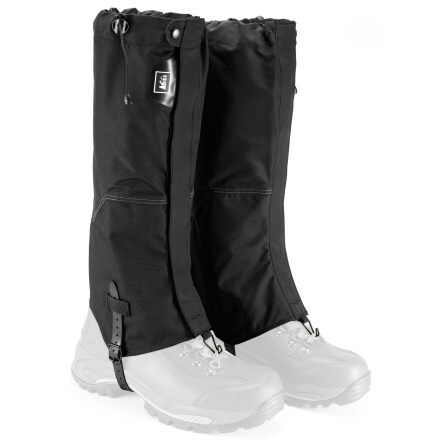 Gaiters enable you to attack the problem at the source, by sealing off the tops of your boots from moisture. A rain suit may prevent the need for gaiters, but keep these in mind if you don’t have other ways to keep the moisture out of your boots… and either way, wool dries from the inside out, so wear wool socks to avoid long-lasting soaks. Wind protection can make a huge difference when it comes to staying warm. 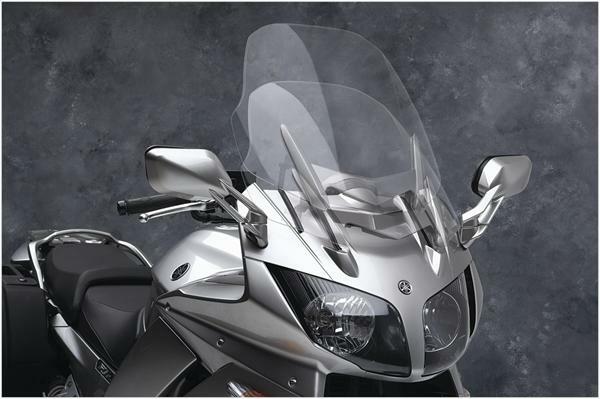 If you’ve got an adjustable windscreen (as seen in this photo), make sure it’s set in the highest position. You might also want to check into an aftermarket windscreen that’s taller and more protective; staying inside a cushion of still air will go a long way towards keeping you warm at highway speeds.